April | 2014 | Crafty Corner! I can get my craft on! 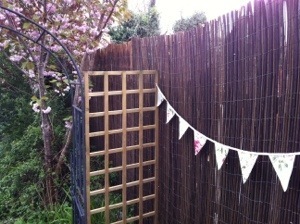 Using up some left over fabric I decided to make some bunting to use when we next have a garden party/ BBQ. I used my favourite app, Pinterest, to find a pattern and instructions and luckily they were great. I started off by cutting out the triangles with scissors, and for the back I cut up some old curtains so I wasn’t using my nice fabric unnecessarily. 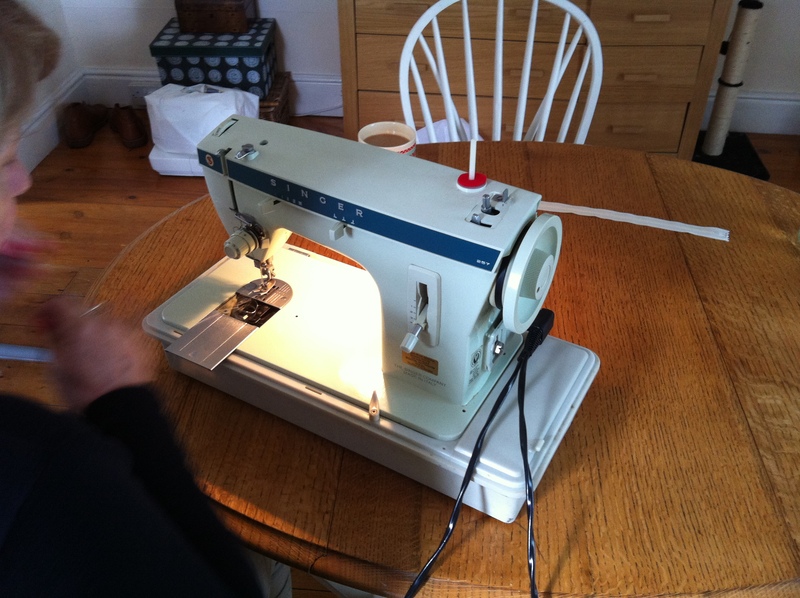 Next stage was to set up my friends sewing machine, which I had borrowed, which was a mammoth task! I sewed the flags inside out and once I had sewed all of the bunting pieces I quickly ironed each piece so it was nice and flat. The next decision involved what to use as the thread as I initially wanted to use some of my beautiful, thin lace but unfortunately I didn’t think it would be strong enough. So I rushed off to our local Range shop to see what they had, luckily, they had this lovely pink thread with cute bobble design, and only for £1. Bargin! I attached the thread along the top of the bunting with pins and I was able to use 10 bobbles between each flag as a clear guideline for accuracy. And there you have it, my first independent craft project completed! I’m really pleased with the end result, I’m just looking forward to the weather improving so I can invite everyone around and put it up! 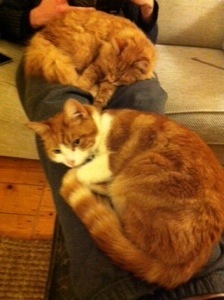 I love my cats but they do make it difficult to get anything done! What initially is meant to be a quick sit down with a cup of tea end up being a half an hour/hour of not wanting to disturb them! It often works in my favour though if I ask my boyfriend to do something. Having one or even two cats sat on you is reason enough for him to help you out! Hopefully they will get up soon and I can have a go making some bunting using my friend’s sewing machine she has lent me! 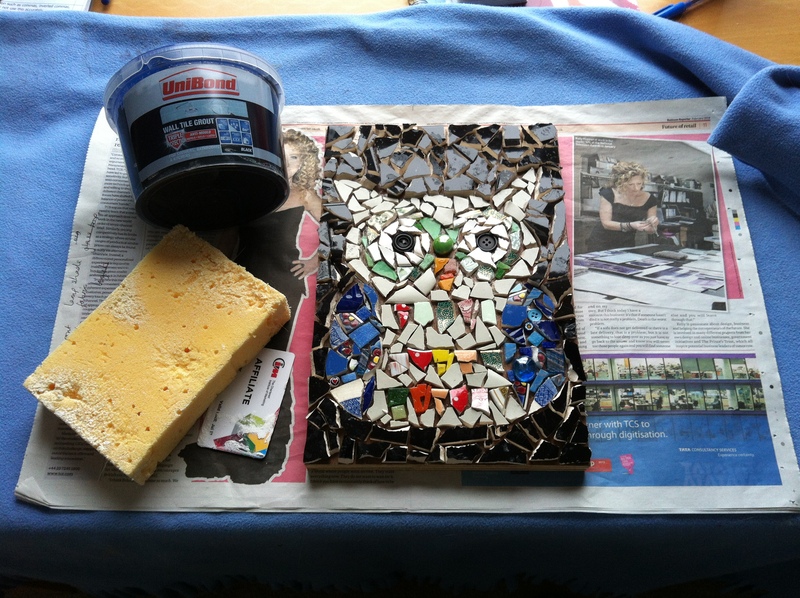 The next stage after finishing your mosaic is to grout. 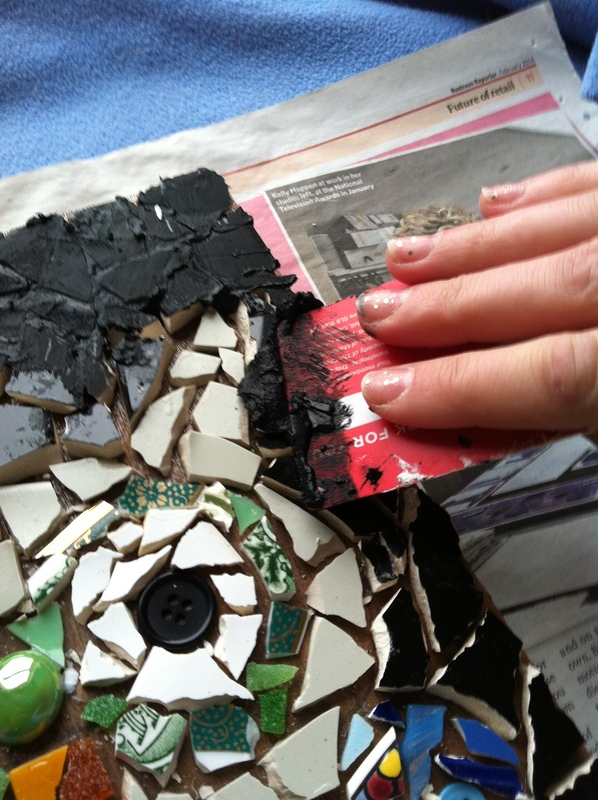 This is the part of any mosaic that I hate, it did take a couple of attempts before I felt like I was getting it right. 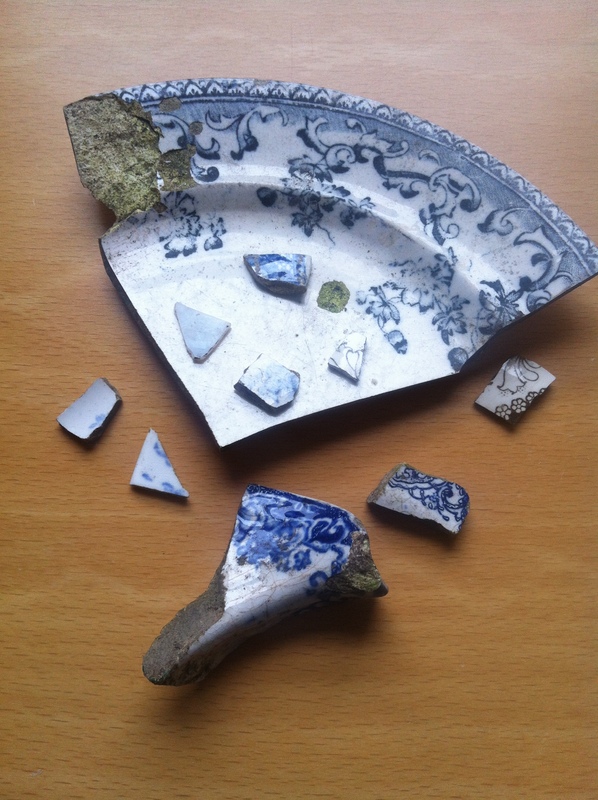 I also find it quite disheartening covering all those lovely china pieces after you have spent so long placing them in a particular way. Handy Tip: Take a picture so you know if there are still hidden pieces under the grout. So first you have to purchase the grout, which you can get from any DIY shop. Mix the powder with water to make a consistency similar to cream cheese, or as an alternative you can buy ready mixed grout which lasts quite a while. You will also need to get an old credit card and sponge to apply and remove the grout. Once you are happy with the consistency, start applying the grout with the credit card. Take time to fill in the gaps between the pieces and scrape off as much as you can from the top. Leave for a couple of minutes before you begin the next stage. very vague outline of your mosaic. Collect a bowl of water and submerge the sponge, ringing it out well. 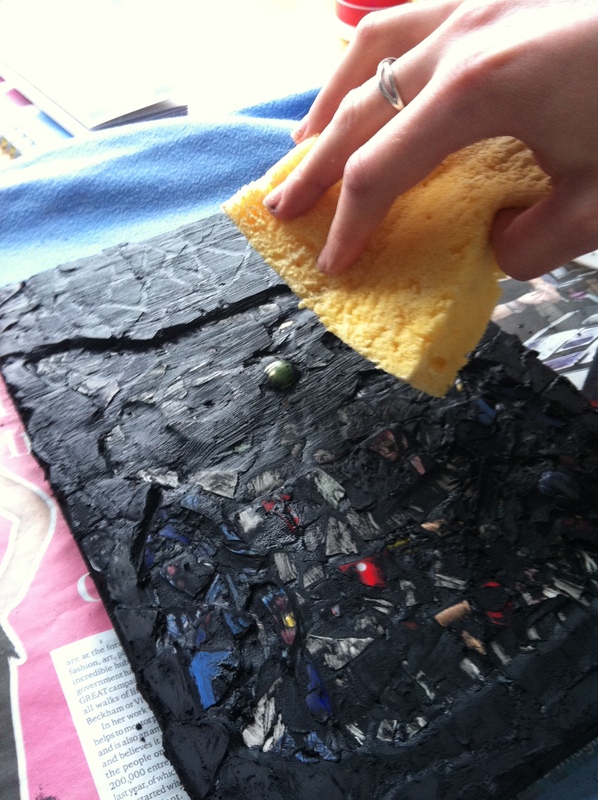 Slowly wipe the sponge over the mosaic, taking off the excess, switching corners of the sponge as often as you can. Once you are happy the majority of the excess of the grout has been removed leave to dry over night. 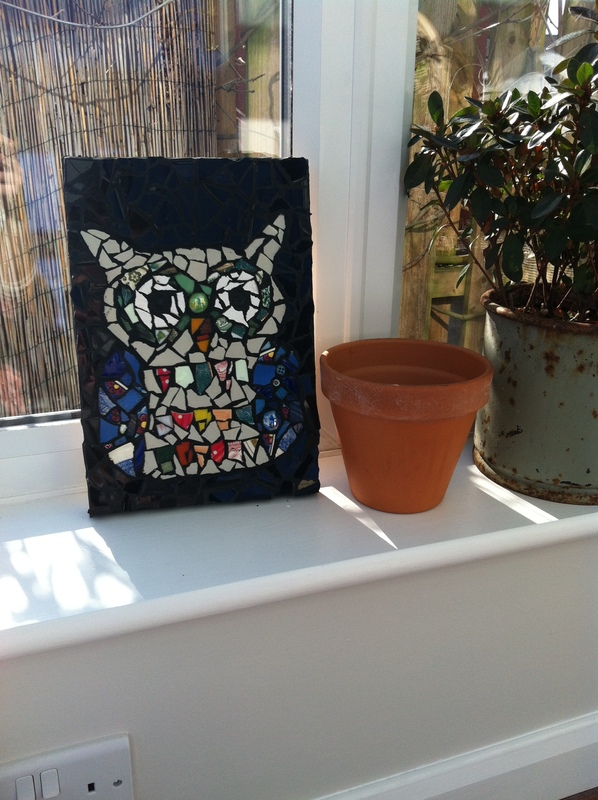 Handy Tip: The next day use Mr Muscle’s window cleaner spray to remove any dried grout and make the china sparkle! Important Tip: Don’t get rid of the grout water down the drain. Chuck it away outside, in the garden, as it can block your pipes. Thanks to my wonderful mother, on Friday I finished the final stage of the conservatory decor and made my first ever cushion! I found the experience thoroughly enjoyable; watching her work, learning tips and surprisingly, lots of shortcuts! I never thought my mum was much of a rebel, but if Patrick, from the Great British Sewing Bee, saw her work he would be utterly appalled! So we measured out the fabric, used pins as our guide and started cutting! Gradually, as I cut along this imaginary line the pins got further and further away! Next we set up her vintage Singer machine, which I loved. So retro! Watching her expertly set up the machine reminded me of riding a bike, you never forget! After a few failed attempts at attaching the zip in a straight line the sides were a breeze! When we came to putting the pillow in the cover we soon realised the lady on the market stall was right after all and you don’t need an 18 inch zip for an 18 inch cover! Using a bit of hand stitching and it looks like a thoroughly professional job. 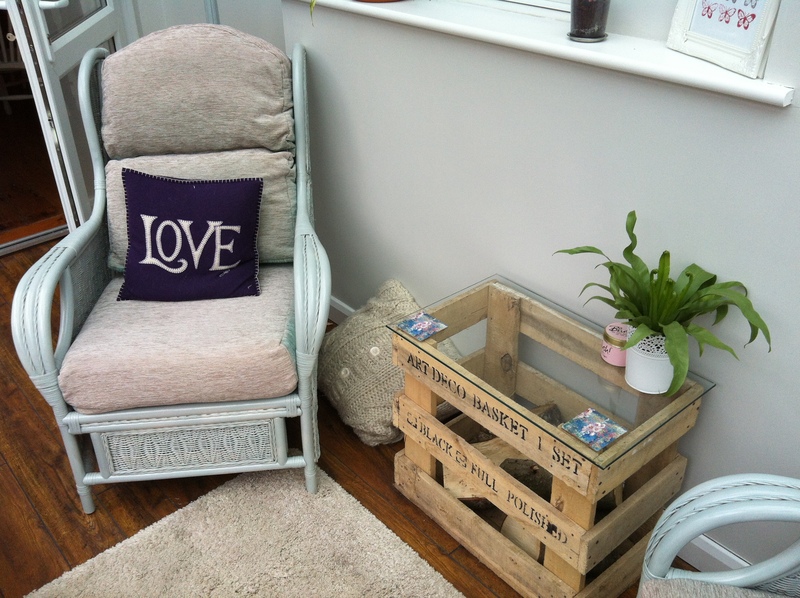 The pillows look great and I think it was tied the whole scheme nicely together. And now time to relax! Or more like start saving and planning for the next room. We maybe there! Finally! 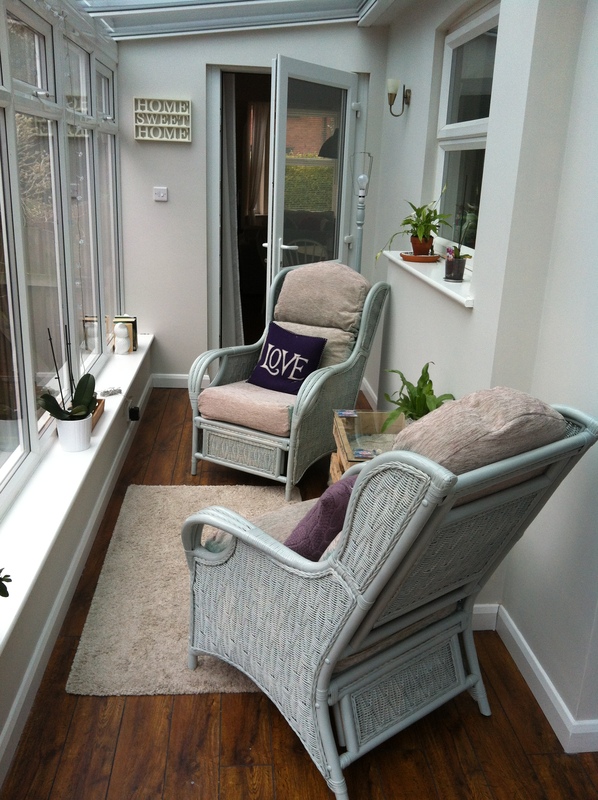 What started off as a simple update to our conservatory, has turned out to cause no end of annoyance! 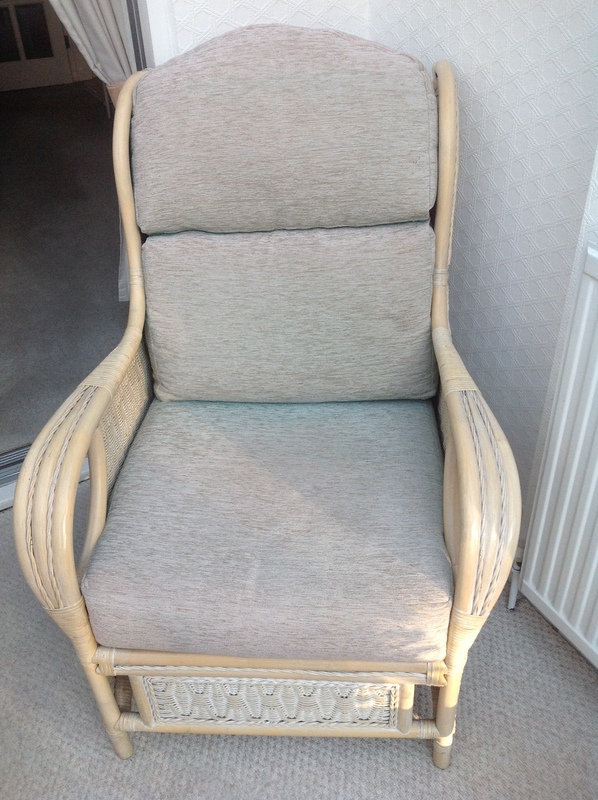 Unfortunately the wicker chairs took a bit longer than I would have like,d due to the fact the fabric dye didn’t take very well. I was hoping for a strong lavender colour but as you can see it’s not taken very well. This is the result after 4 times! We will see how we find them but it may mean making our own covers from scratch. The frame was meant to be light grey, I find it more duck egg blue therefore I may end up changing my mind again and going back to white! At least they look better than the original. 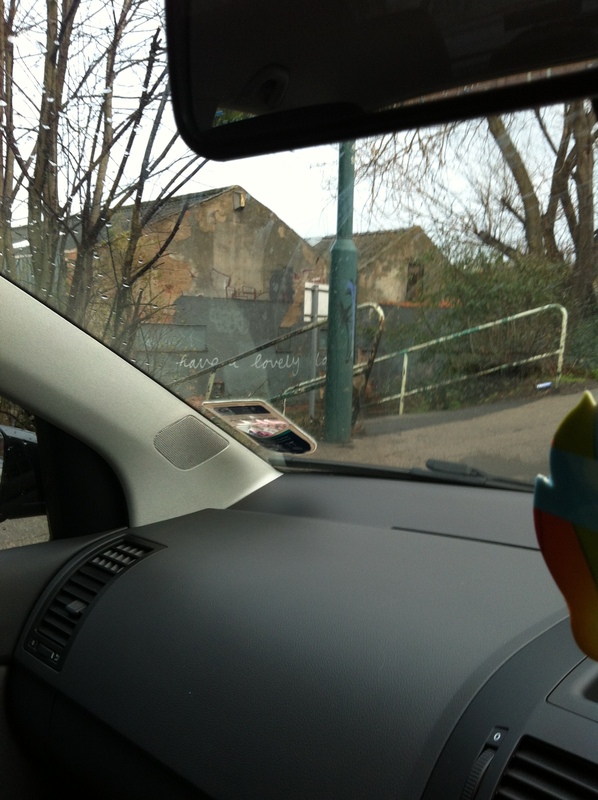 Bit more shabby than chic! 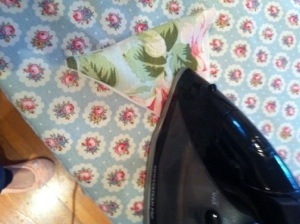 Later today my mum is coming over to make the throw pillow covers with the fabric I found. I’m excited to try out my sewing skills again!